What are the noticeable signs of Pressure Sores? 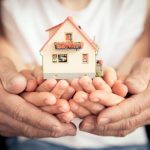 Home » Blog » What are the noticeable signs of Pressure Sores? Pressure ulcers, often referred to as pressure sores, can develop when someone spends too long sitting or lying in one position. They are a particular risk for people with Dementia. Pressure ulcers and sores can be easy to prevent early on, however if early signs of damage are unnoticed, they can worsen and become very painful or infected. 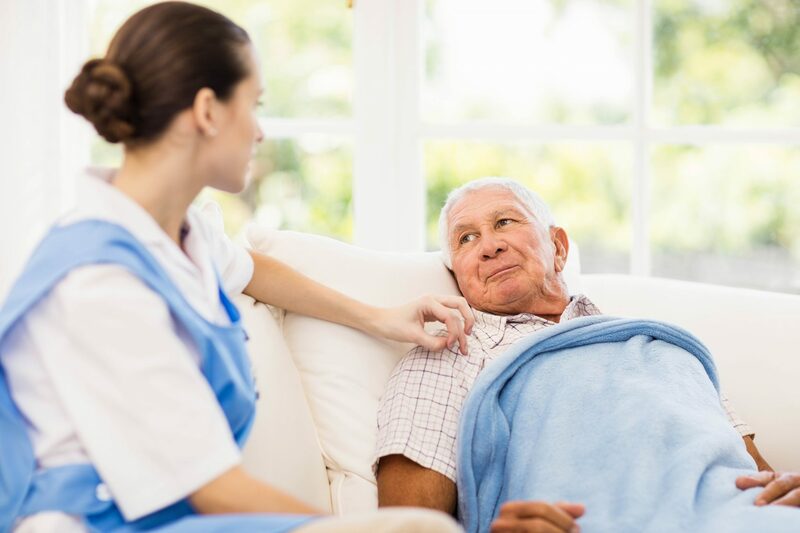 It is therefore important for staff in Care Homes to be aware of the signs of developing pressure sores in order to be proactive and prevent them from worsening. Pressure sores occur due to pressure applied to soft tissue in the skin, resulting in completely or partially obstructed blood flow to the soft tissue. Shear is also a cause, as it can pull on blood vessels that feed the skin. Pressure ulcers most commonly develop in individuals who are not moving about, such as those being bedridden or confined to a wheelchair. It is widely believed that other factors can influence the tolerance of skin for pressure and shear, thereby increasing the risk of pressure ulcer development. They commonly form where your bones are close to your skin, such as your ankles, back, elbows, heelsand hips. Pressure sores can cause serious infections, some of which are life-threatening. The most common sites are the skin overlying the sacrum, coccyx, heels or the hips. However, other sites such as the elbows, knees, ankles, back of shoulders or the back of the cranium can be affected. If you help an elderly client to wash or dress, always take a few moments to check their skin, especially around bony areas. Pressure ulcers are most likely to appear on the heels, ankles, knees, buttocks, hips, spine, elbows, shoulder blades and the back of the head. Stage 1. The affected skin looks red and may feel warm to the touch. The area also may burn, hurt, or itch. In people who have dark skin, the pressure sore may have a blue or purple tint. Stage 2. The affected skin is more damaged. It can result in an open sore that looks like a cut or blister. The skin around the wound may be discoloured. The sore is very painful. Stage 3. At this stage, pressure sores usually have a crater-like appearance. This is due to increased damage to the tissue below the skin’s surface. This makes the wound deeper. Stage 4. This is the most serious type of pressure sore. The skin and tissue is severely damaged. This causes a large wound. Infection can occur at this stage. You are likely able to see muscle, bones, tendons, and joints in stage 4 pressure sores. If your pressure sore becomes infected, it will take longer to heal. Signs of an infection include yellow or green pus, skin that is warm to the touch, swelling around the sore or a tender feel around the sore. Mental confusion or difficulty concentrating. What can you do to reduce the symptoms of pressure sores in residents? > Use foam pads or pillows to take pressure off the sore. Special mattresses, mattress covers, foam wedges or seat cushions can help support you in bed or in a chair to reduce or relieve pressure. Avoid resting directly on your hip bone when you’re lying on your side. Use pillows under one side so that your weight rests on the fatty part of your buttocks instead of on your hip bone. You can also use pillows to keep your knees and ankles apart. When lying on your back, place a pillow under your lower calves to lift your ankles slightly off the bed. When lying in bed, change your position at least every 2 hours. 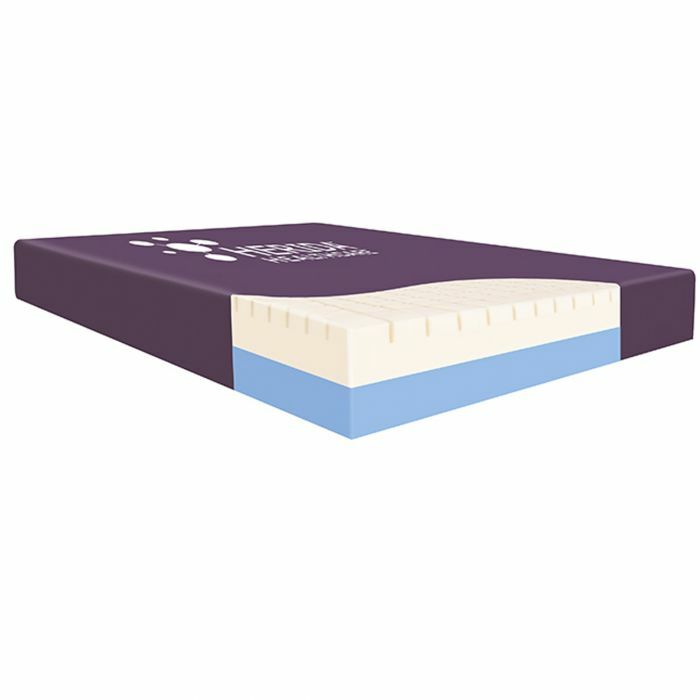 At Countrywide Healthcare, we offer advanced pressure reducing mattresses that are specially designed to assist in the healing of pressure sores. You can visit our range of pressure reducing mattresses here. > When sitting in a chair or wheelchair, ensure individuals sit upright and straight. An upright, straight position allows people to move more easily and help prevent new sores. Ensure they change positions every 15 minutes when sitting in a chair or wheelchair. > Provide your residents with good nutrition to help the sore heal. > Ensure residents are provided with good hygiene to clean the sore. Stage 1 can often be cleaned with only mild soap and water. You can clean stage 2 sores by rinsing the area with a salt and water solution, which removes extra fluid and loose material. For additional guidance on the impact of pressure reducing mattresses, read our blog here.